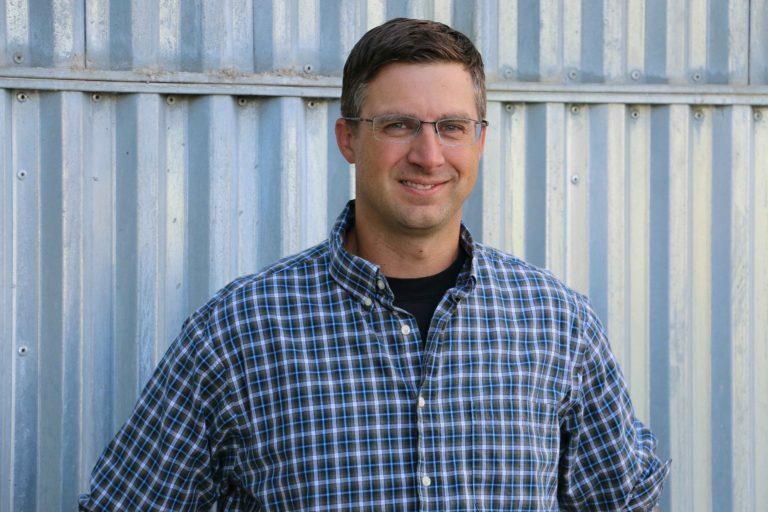 Are you interested in learning more about LEED ND (Leadership in Energy and Environmental Design – Neighborhood Development)? LEED-ND is the latest rating system from LEED that is developed to encourage walkable, diverse neighborhoods. As a member the LEED-ND state committee and Congress for the New Urbanism Colorado Chapter, I would like to extend an invitation to a FREE event in Denver on October 1, 2011 from 1:30 pm to 5:00 pm. We will be hosting an event that is intended to be fun, with a side of LEED-ND education. 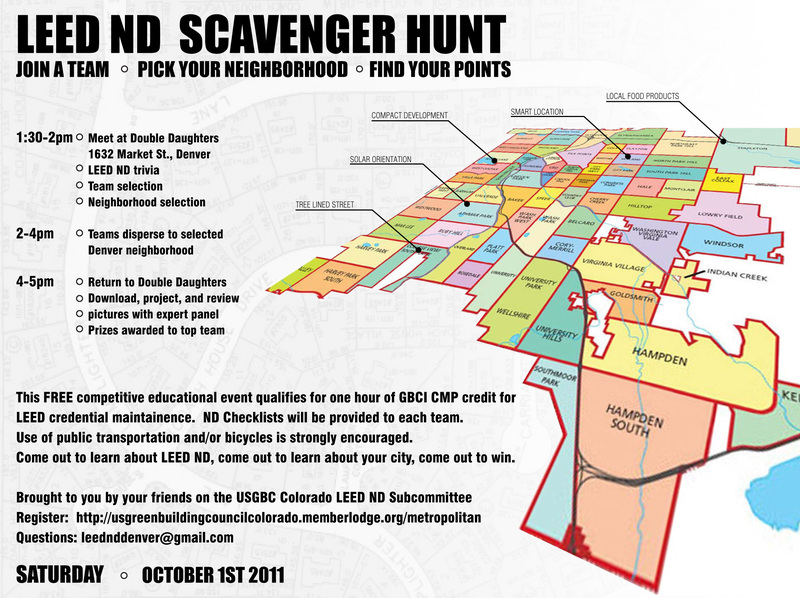 Join us for a scavenger hunt around Metro Denver as we seek out LEED-ND strategies incorporated in our very own neighborhoods! Teams will play LEED-ND trivia to compete for choice neighborhoods prior to being unleashed to hunt down as many LEED-ND strategies as they can in a 2-hour timeframe. By bike or bus, teams will explore their neighborhood and capture pictures of each strategy. We’ll then meet back for photos, discussion, drinks, and prizes! Demonstrate LEED ND strategies in use, in real neighborhoods. Analyze the LEED ND rating system for benefits and barriers in real neighborhoods. Compare LEED ND strategies in use between comparable neighborhoods. Instruct other teams on LEED ND strategies captured from real neighborhoods. Be ready to bike, walk, or bus around in any weather. Bring your own water and snacks.